From Fourth of July fireworks to Echo Park’s famous Lotus Festival, July is chock-full of good stuff to do. Wrap the dog in a ThunderShirt and make your way to any number of the fireworks celebrations all over town. Our picks? Cinespia’s Footloose screening and fireworks at Hollywood Forever Cemetery, AmericaFest in the Rose Bowl Stadium, and the All-American 4th of July fest aboard the Queen Mary. The city’s longest-running film fest got its start in 1982, thanks to a group of UCLA students. Catch more than 150 LGBTQ-focused features, documentaries, shorts, and episodic series—not to mention panels and galas galore—at venues all over town. L.A. Original teams up with the Museum of Contemporary Art to present a stellar bunch of local makers. Visit the MOCA store and treat yourself to a Clare V. fold-over clutch, nail decals from Cha Cha Covers, Carrots streetwear, and more. Practice your “opa!” then get yourself to the Greek at Saint Katherine church in Redondo Beach. The midsummer Hellenic shindig has all the gyros, baklava, and kalamatianos dances you can handle. Got champagne taste on a beer budget? The Los Angeles Tourism and Convention Board has your back. More than 300 L.A. restaurants offer crazy discounts during this foodie extravaganza, with two-plus-course lunches starting at $15 and three-plus-course dinners starting at $29. Reservations aren’t a must, but in the parlance of a certain shoe company: Just do it. You can stop watching the OC Fair’s live pig cam—the time has finally come to see the little guys in real life. Head to the fair’s eponymous event center for pie competitions and live entertainment, including sets from Jim Gaffigan and Earth, Wind & Fire. 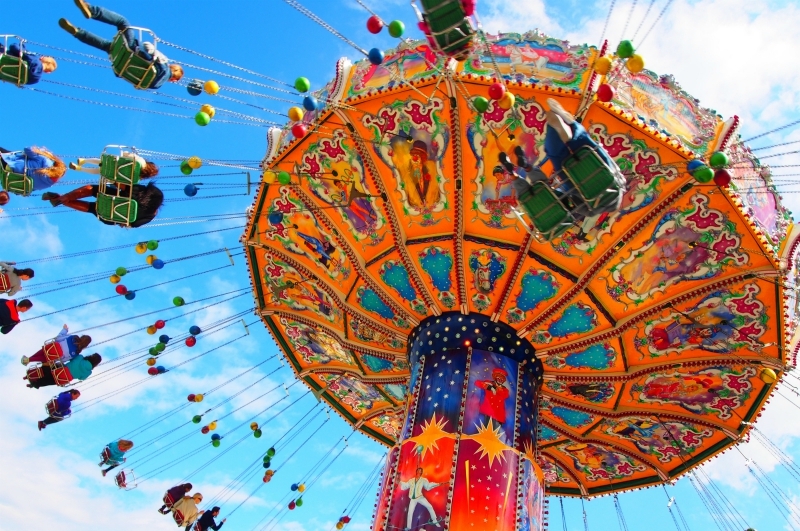 Cap the day with carnival games and the deep-fried snack food of your dreams. Roughly 100,000 people descend on Echo Park Lake for this event celebrating Asian American contributions to L.A. Dragon boat races, a teahouse ceremony, and an origami workshop are on the docket, but stopping by to sample some good eats and admire the lake’s lotus blossoms makes for a solid day, too. Kids who can’t get enough of Travel Town will lose their minds over this event at DTLA’s rail hub. Scope out vintage engines and cars from the ’40s, ’50s, and ’60s (don’t miss the 1949 Overland Trail car, complete with barbershop), then sit in on a model train tutorial with the good folks from two different model railroad clubs. If you’re currently matriculating at the School of Hard Knocks, head to the Hollywood Bowl to see how well it can turn out. Celebs like Ana Gasteyer and Megan Hilty grace the stage; hum (or belt—no judgment) along with classics like “Tomorrow” and “You’re Never Fully Dressed Without a Smile” as you watch one little orphan hit the parental jackpot. With a bill in play to establish surfing as the official sport of California (how #stoked would you be, brah? ), there’s no better time to grab a slice of sand and watch pros do their thing. Post up south of the Huntington Beach Pier to see the John John Florences of the world compete in this World Surf League qualifier for a pretty hefty cash prize. The former Bullocks Wilshire Building is normally off limits to anyone besides Southwestern Law School students. For one day, architecture nerds of all stripes can sneak a peek. Take a self-guided tour of the Art Deco masterpiece, whose sculpted elevator doors and textured murals were restored after being damaged during the Rodney King riots. Next articleWhat People Should Read About L.A. Before They Move to L.A.